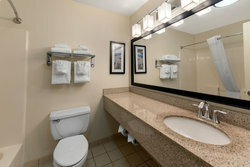 Choose our King Suite as your lodging in Fort Collins, CO. 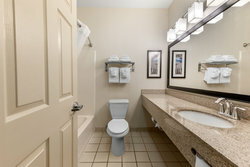 This expansive suite offers traveling couples and solo visitors a comfortable place to rest their head. 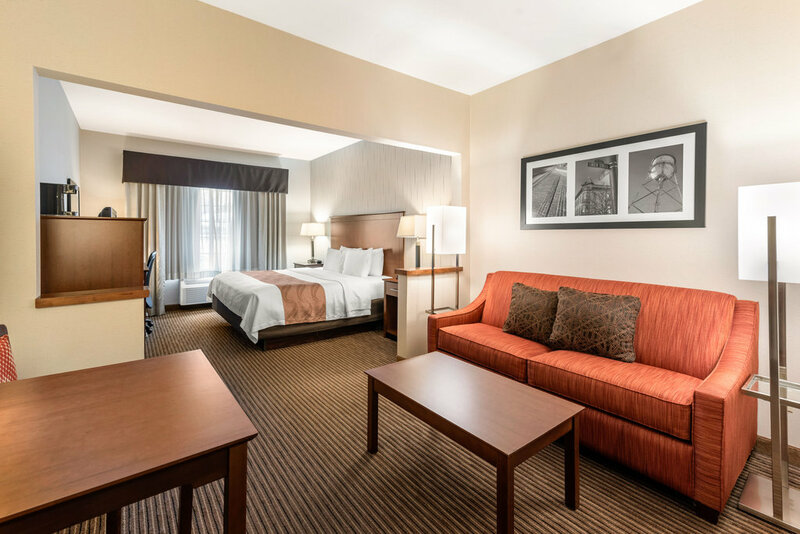 Spend your evenings in front of your in-room TV or on your sleeper sofa, head downstairs each morning to enjoy a spread of delicious breakfast foods, completely free-of-charge! Corporate guests will appreciate our complimentary Wi-Fi as you look to to get some work done in your ergonomic chair at your personal desk, and use the in-room closet to hang your suits or work clothing. Our food and beverage amenities offer you the opportunity to refrigerate leftovers, store snacks, microwave light meals, and even make a late-night beverage like tea or coffee. 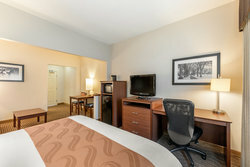 As an added bonus, we offer pet-friendly accommodations in Fort Collins. We are thrilled to host your furry friends and even offer you secluded outdoor space to take them for walks.